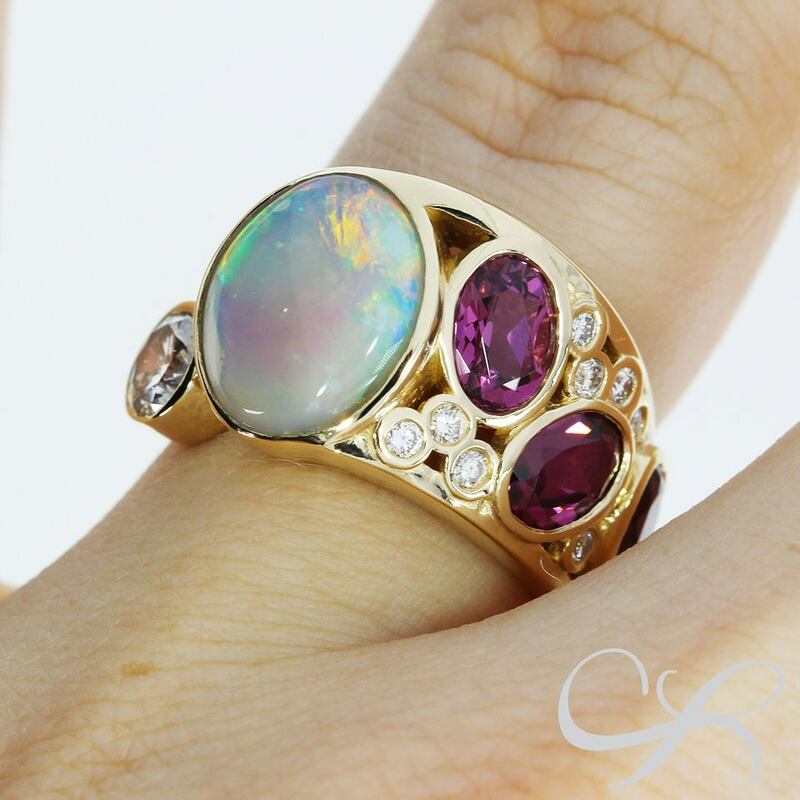 True custom jewelry design goes beyond picking out a stone and a setting from a catalog. A custom piece from craft-revival jewelers starts with a vision. With Craft-Revival Jewelers, creating a custom designed piece is a journey that we take together. Our goal is to to truly listen and ensure we create an enjoyable and memorable experience as well as a time treasured piece of jewelry. We understand that you are crafting something very personal, sentimental and special…a true reflection of your life and love. As your partner in this experience, we have the privilege of getting to know you, your personal tastes, and your lifestyle so we can work together to create a jewelry piece that you will treasure. People fall in love with aspects of different jewelry pieces, perhaps the arrangement of stones, the setting, or the detail in a band. We review these ideas together, and learn about your lifestyle, so we can combine your likes and how you will wear your piece into an initial design. Helpful hint- Visit our Pinterest page for inspiration or browse the internet for design ideas and bring them with you; we can use the pictures you have for influence on your new piece. Our favorite event is watching the face of the recipient when they view their custom piece for the first time. The joy when they slip on a piece of jewelry that was made specifically for them, with love and devotion, is unmatched. Once the piece is complete, you are invited to bring the recipient to our showroom. Your finished piece will be presented to your loved one with class and grace, in our comfortable and private viewing room, where you are able share in this sentimental experience together. True custom jewelry design goes beyond picking out a stone and a setting from a catalog. A custom piece from Craft-Revival Jewelers starts with A VISION. Take your loved one on a journey they will never forget.